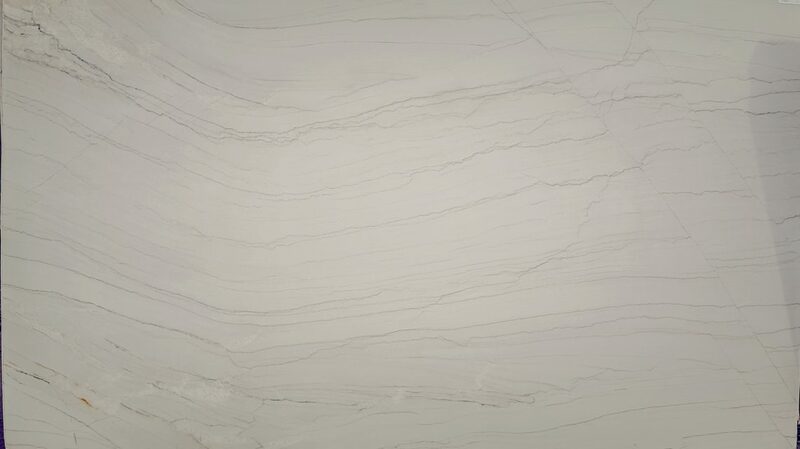 Opus White is a very appealing natural quartzite. With an off-white background and soft grey thin veins, it is the perfect choice when you want a slab that is dainty and refined yet durable and practical for many applications. 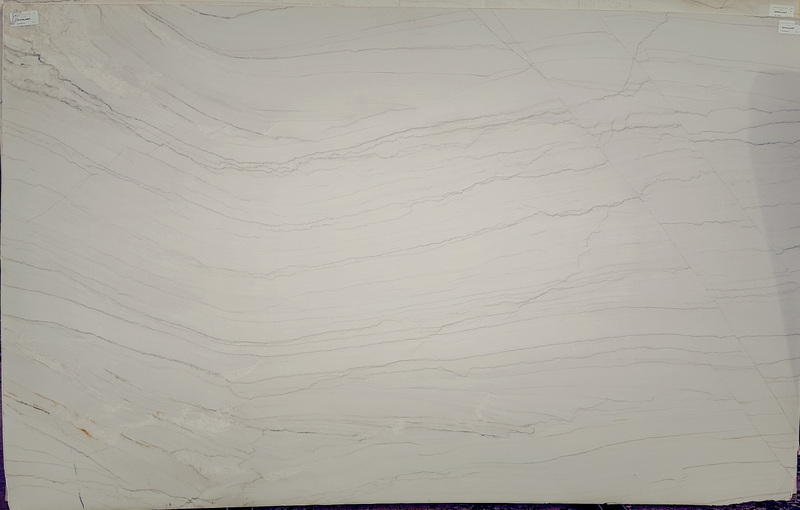 This is an example of an antique finished quartzite. To the touch you feel the texture and a mate finished will reduce glare. Stop by and choose your slabs today.